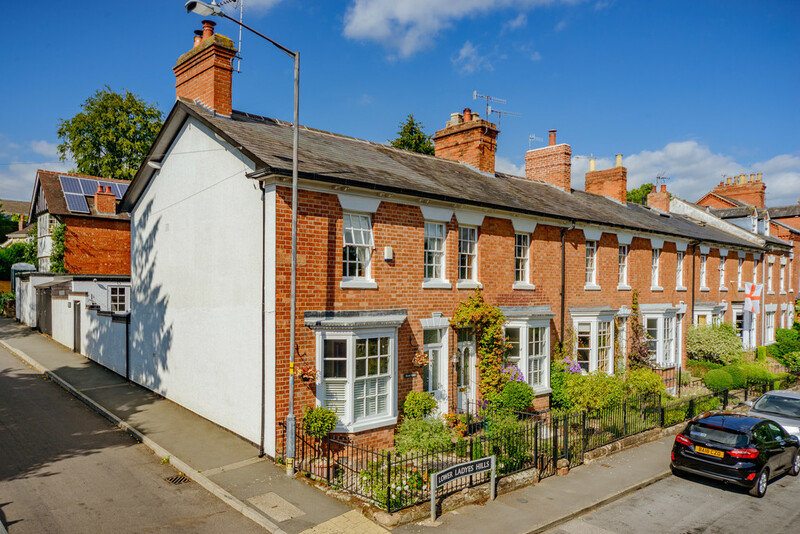 THE PROPERTY A stunning two bedroom cottage situated on Lower Ladyes Hill in Kenilworth. 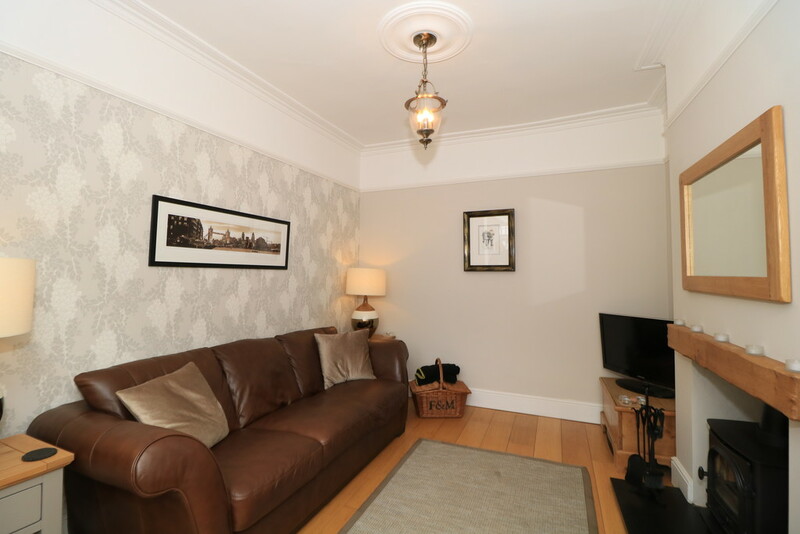 The property has been renovated and refurbished by the current owners and offers well appointed living accommodation with underfloor heating. 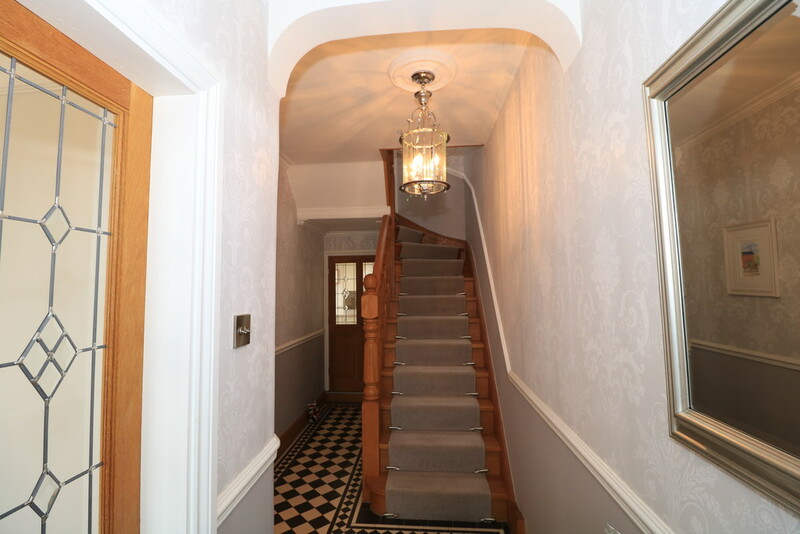 Steps rise to the front door and then into the reception hallway with black and white Minton floor, new oak dog leg staircase to the half landing and stairs also down to the basement. 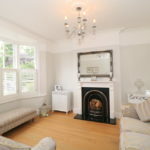 The front sitting room has a bay window and a focal point provided by an open fireplace. 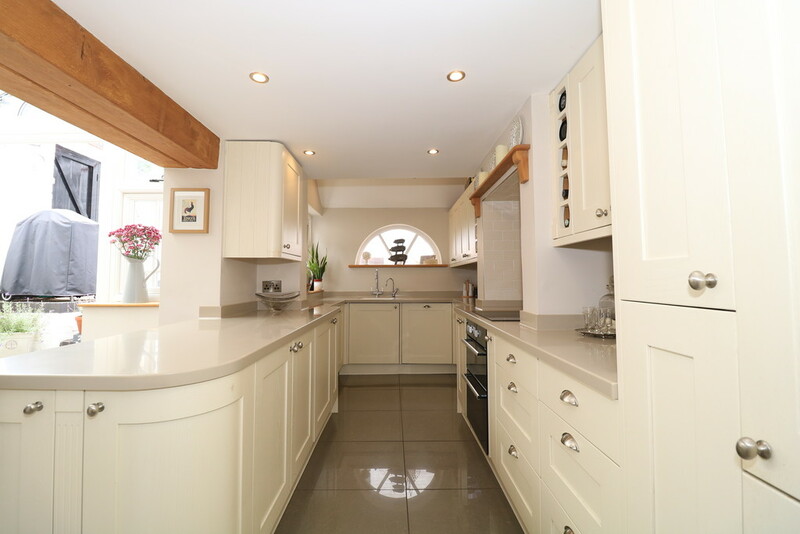 The heart of the house is in the open plan living to the rear. 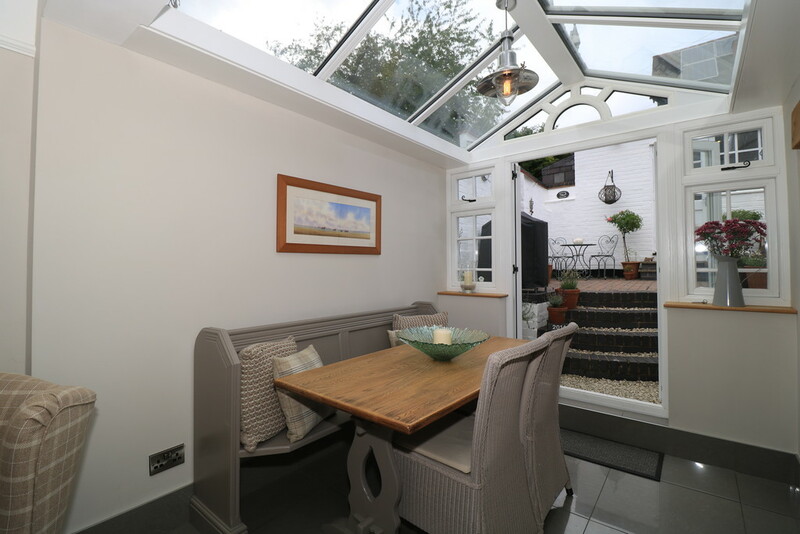 The lounge has a wood burner and a step up into the dining area with vaulted glass ceiling. 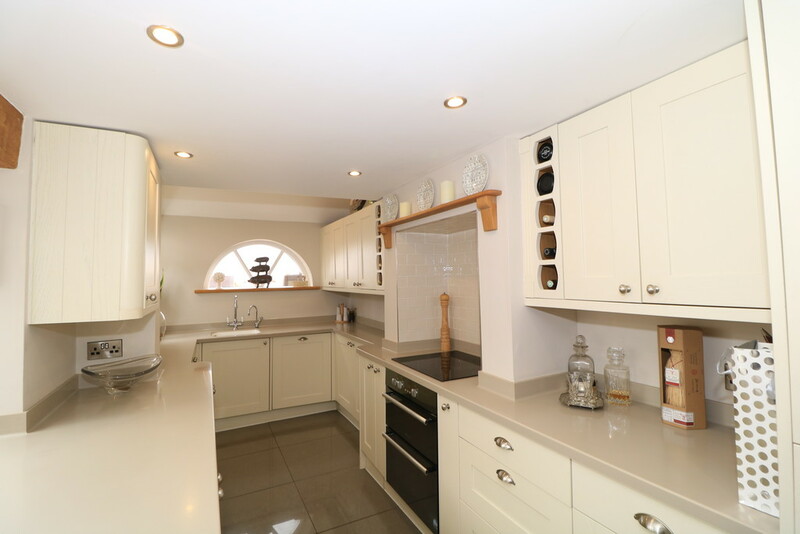 The refitted kitchen is comprehensively fitted and complimented with shaped corian worksurfaces. 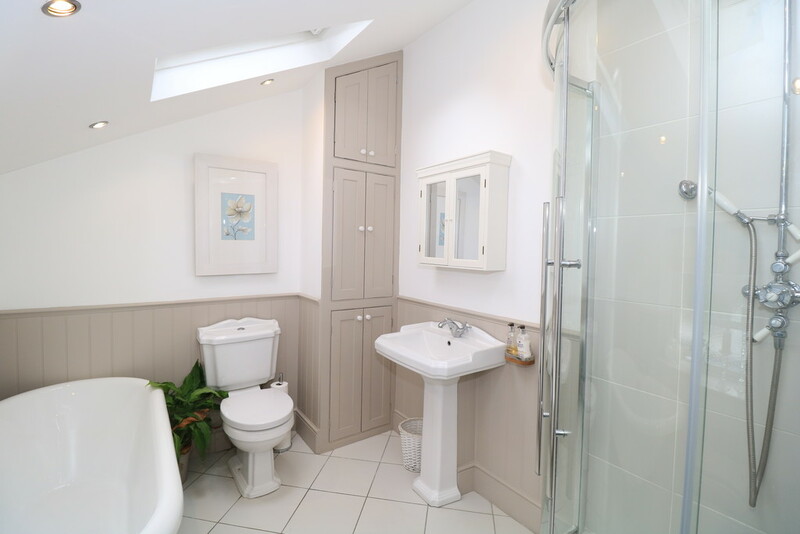 There is a basement with underfloor heating and cloakroom with a saniflo toilet. 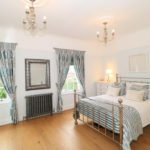 On the first floor are two double bedrooms and an elegant four piece bathroom suite with a roll topped cast iron bath with claw feet. 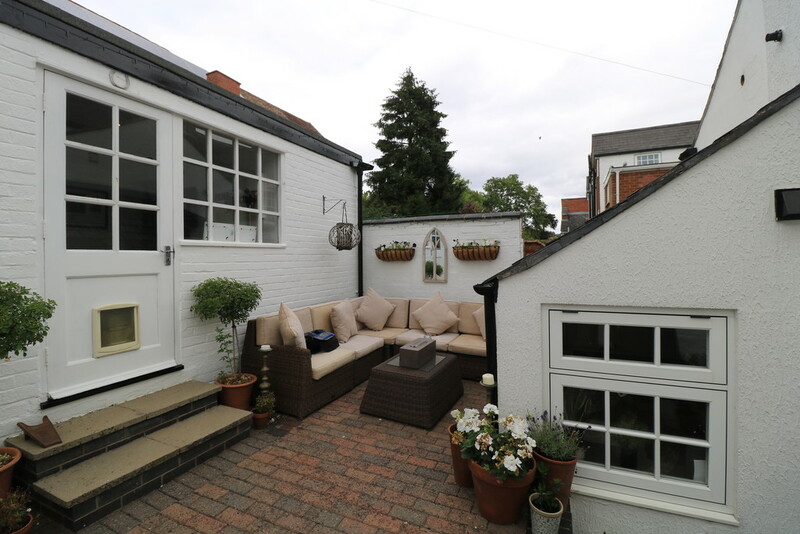 Outside is a terrace rear garden and access to the two garages. 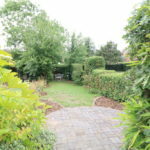 To the front is a courtyard foregarden and then a further cottage garden. Viewing is essential to appreciate this fabulous home. 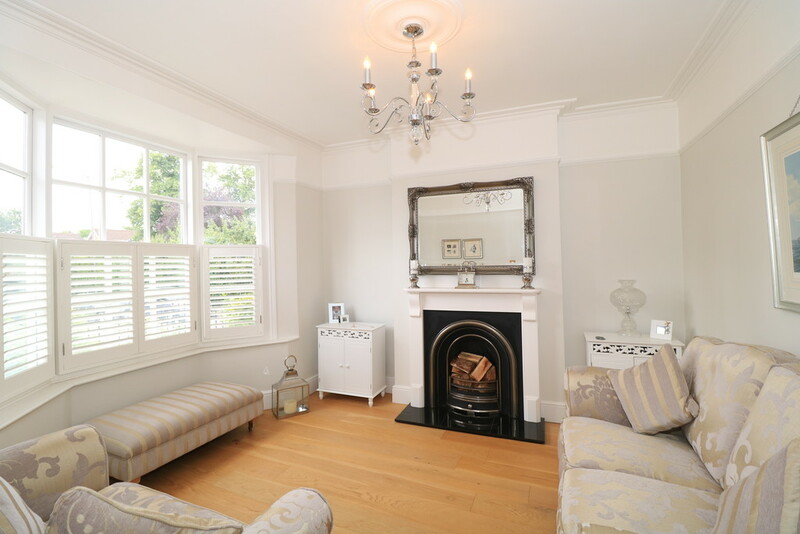 SITTING ROOM With oak wood flooring, double glazed bay window to the fore with sash windows. 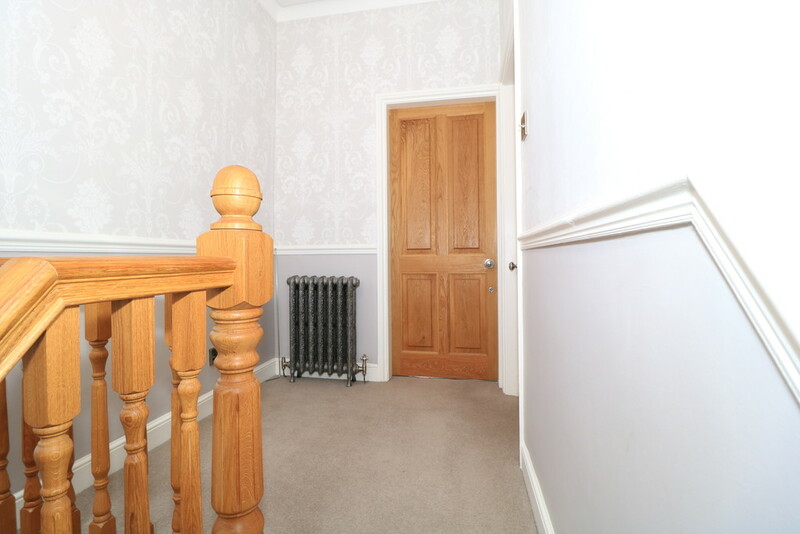 Dado rail and cornicing. 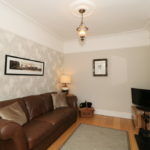 The focal point is provided by a cast iron fireplace with an Adams style fireplace. LOUNGE With oak flooring and underfloor heating, a recessed log burner set on a slate hearth and an oak mantel. 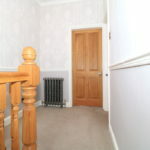 Cornicing and a picture rail. Step up into the dining area. 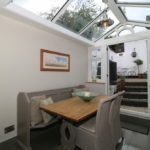 DINING ROOM With a vaulted glass ceiling and French doors with side lights onto the rear terrace. Ceiling light and opening into the fitted kitchen. 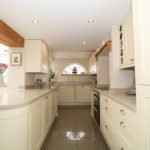 FITTED KITCHEN Comprehensively fitted with a range of cream shaker style units to wall and base. The base units have a corian worksurface with shaped upstands and a built in wash hand basin and groves drainer. Mixer taps and an instant hot water tap. 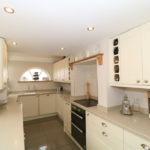 Built in double oven with induction hob over and set within an inglenook shaped surround. Built in fridge freezer and dishwasher. 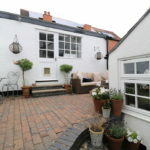 There are two windows onto the rear courtyard. 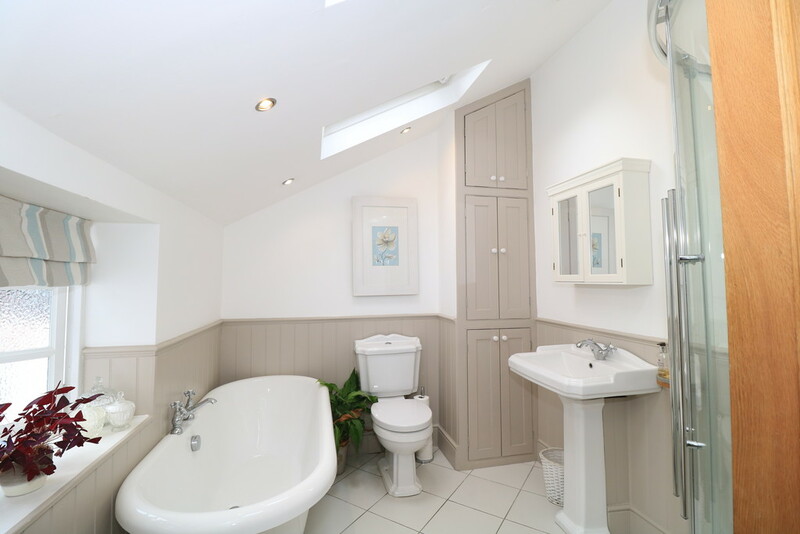 Tiled flooring with underfloor heating and matching skirting boards. Ceiling downlighters and brushed steel switches and light switches. 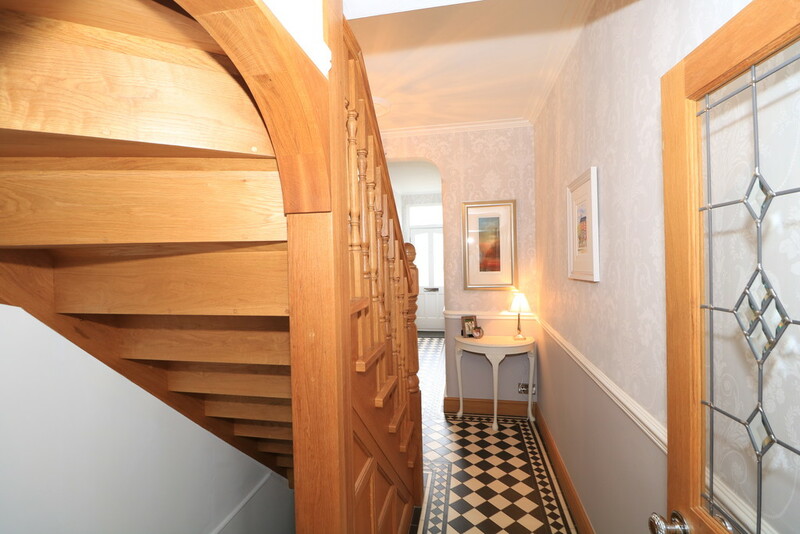 BASEMENT/CELLAR With tiled steps leading down, window to the fore, underfloor heating and door into cloakroom. 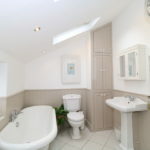 CLOAKROOM With tiled floor and walls, close coupled wc, vanity unit, heated towel rail and underfloor heating. 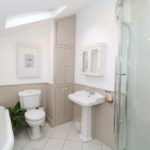 BATHROOM Fitted with a white suite that comprises a roll topped bath with claw feet, close coupled wc, pedestal wash hand basin and a large corner shower cubicle with a thermostatic shower. Tiled floor and splash backs, wood panelling and Georgian style window to the side. Airing cupboard. 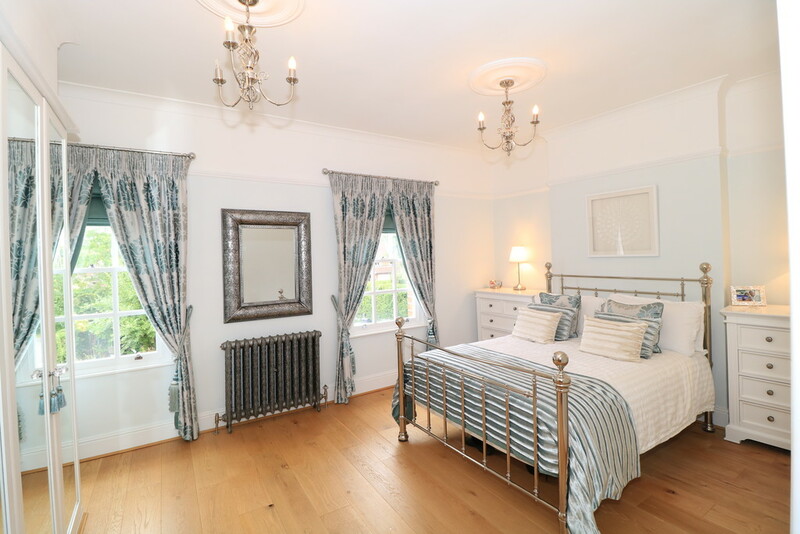 BEDROOM ONE With oak flooring, bespoke school house radiator, two double glazed sash windows to the fore, dado rail and built in mirrored wardrobes to one wall. 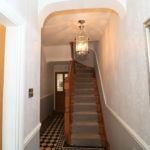 Dado rail and coving to ceiling. 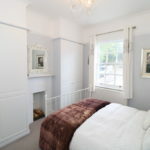 BEDROOM TWO Sash window to the rear with a radiator beneath. Dado rail and coving to ceiling. 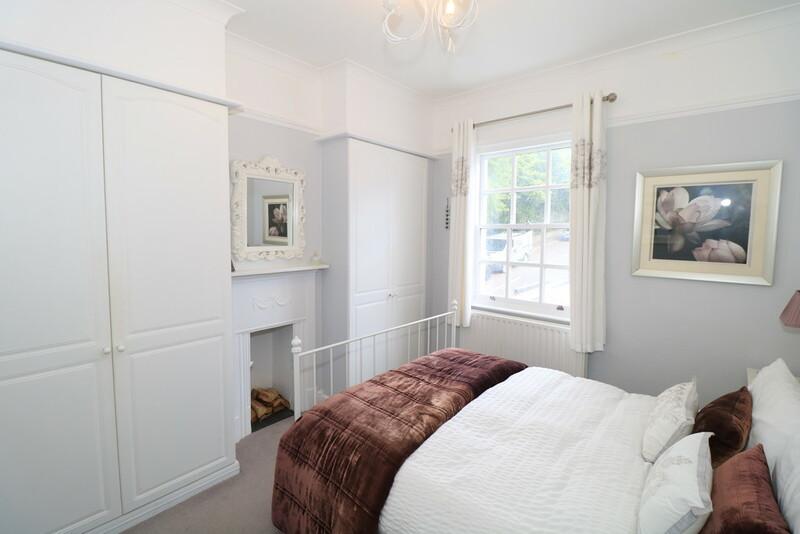 Built in wardrobes to chimney recesses and a cast iron fireplace. Coving to ceiling. 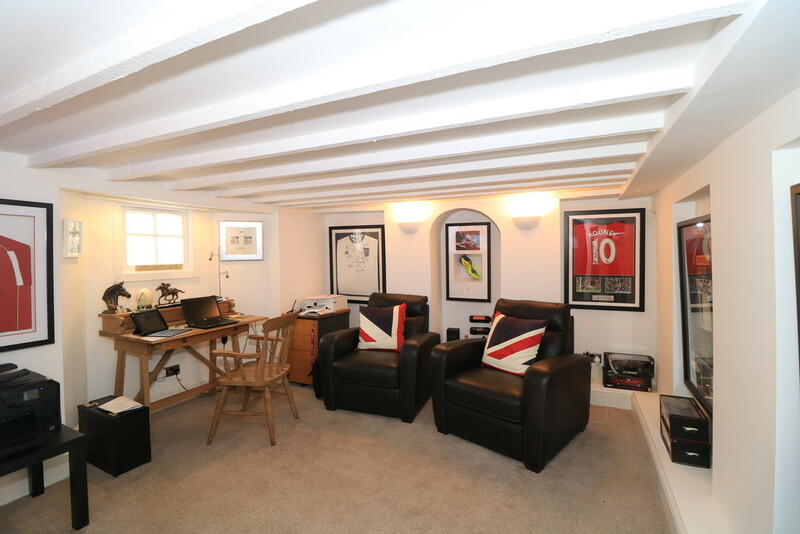 LOFT Accessed with a folding staircase and being boarded with a ceiling light and skylight window. 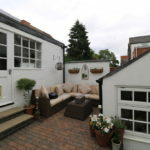 TERRACE With block paving with steps up to the garage. GARAGE Currently used as a gymnasium, ceiling downlighters and a tv aerial point. SECOND GARAGE With up and over door and power and lighting laid on. 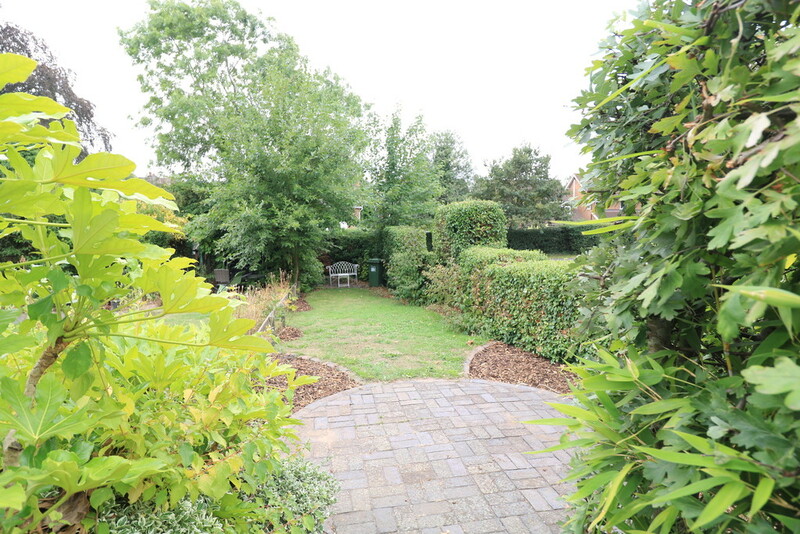 COTTAGE GARDEN Opposite the cottage is an enclosed private garden with hedged boundaries and mainly laid to lawn. 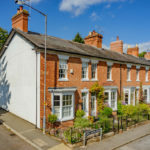 An amazing two bedroom cottage presented to the highest standard. 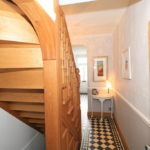 Lovingly restored the accommodation is arranged over three floors. 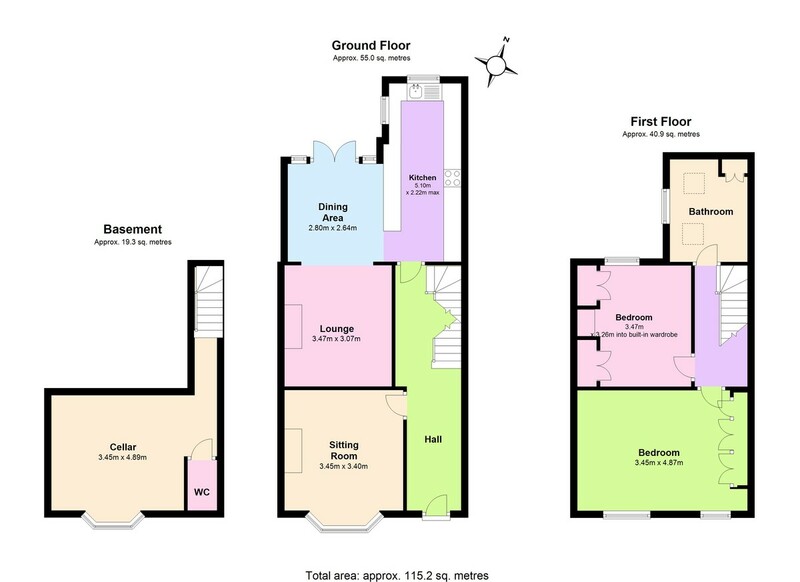 Hall with Minton floor, sitting room and open plan lounge/dining room and fitted kitchen. 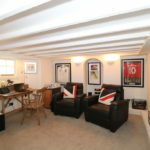 Basement, two bedrooms and four piece bathroom. 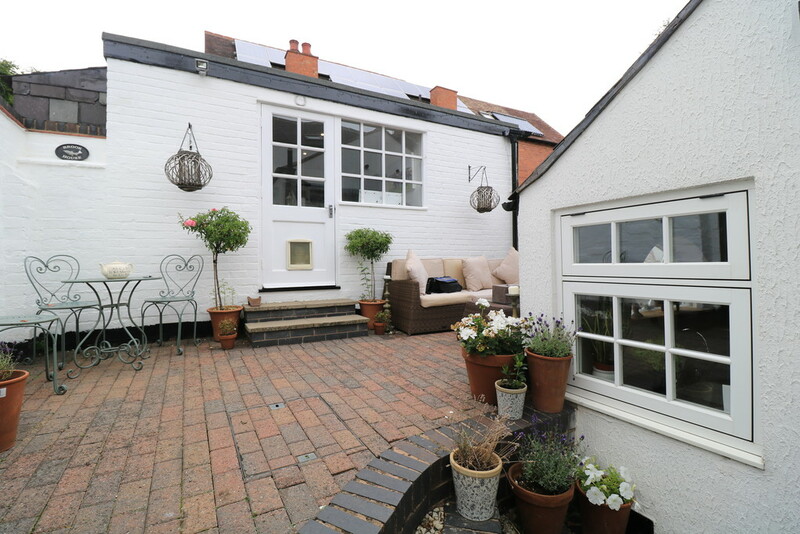 Cottage garden and garage.